Above Sale Price Reflects 12.5% Off for trading in your old mower. 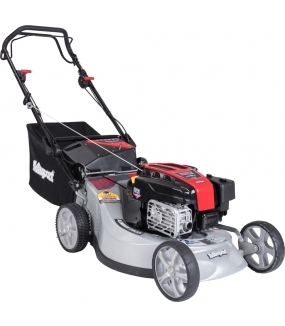 Powered by Briggs & Stratton 190cc OHV Series 850 IC ReadyStart™ engine and 21" heavy duty aluminium chassis, this mower can cut, catch, mulch and side discharge. This variable speed self propelled mower features a fabric catcher, ergo adjustable camlocks, zone start and a washport.